Correctly identifying and mapping the distribution patterns of passively dispersing freshwater organisms is an important task to understand the mechanisms through which these organisms move across the world and to counteract the introduction of invasive alien species in a timely way; moreover, in the light of the growing evidence of the pervasiveness of cryptic species and cryptic biological invasions among all animal groups, the use of molecular identification tools is strongly advisable. In this context, we present the first record of the freshwater jellyfish Craspedacusta sowerbii Lankester, 1880 in the Mediterranean island of Sicily, Italy. This invasive species, native to China, was found during a routine survey campaign aimed at assessing the freshwater species richness in the Sicilian region. Individuals were collected in November 2017 and identified to species level through the sequencing of fragments of both mitochondrial and nuclear genes, and their comparison to the sequences available on public databases. The analysis of molecular data proved that the Sicilian population belongs to C. sowerbii s.s., i.e. one of the two major Craspedacusta lineages which have been discovered to have invaded Europe and which were until recently erroneously jointly reported under the binomen Craspedacusta sowerbii. In order to get a clearer picture of the history and patterns of freshwater jellyfish invasion worldwide, the need for molecular identification of all the non-native Craspedacusta populations currently reported as C. sowerbii, and the opportunity of monitoring human-impacted ecosystems is stressed. The online version of this article ( https://doi.org/10.1007/s10201-018-0560-4) contains supplementary material, which is available to authorized users. 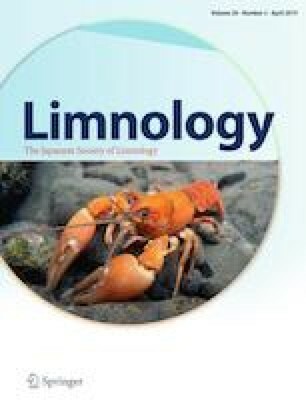 The authors wish to thank Fabio Stoch (Université Libre de Bruxelles, Belgium) and Valentina Pieri (Università di Parma, Italy) for their help with the identification of some crustacean taxa. The authors declare that this study complies with the current Italian laws.